Mapungubwe South Africa is known for its dramatic natural rock sculptures, Mopane bushveld and towering Baobab trees, which form the background to a wealth of African wildlife. With Lion, Leopard, Elephant, Cheetah and Spotted Hyena present in the area, the region has excellent potential to develop into a "Big Five" game park. 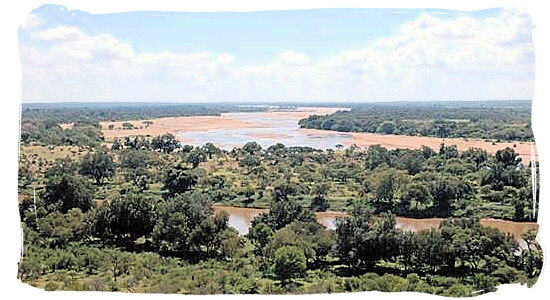 The permanent pools in the Limpopo offer refuge to crocodile and hippopotamus. From Pretoria (or Johannesburg) take the N1 highway to the north to Polokwane (Pietersburg). You will be passing through 4 toll gates, total cost about R85.00. At Polokwane (previously named Pietersburg), turn left at the second traffic lights and follow Nelson Mandela Drive bypassing the town. At the seventh traffic light turn right at the sign saying DENDRON. At the next light turn left onto the R521 to Dendron. Proceed along this road for about 150km to Alldays. At Alldays turn right and proceed towards Pontdrif. 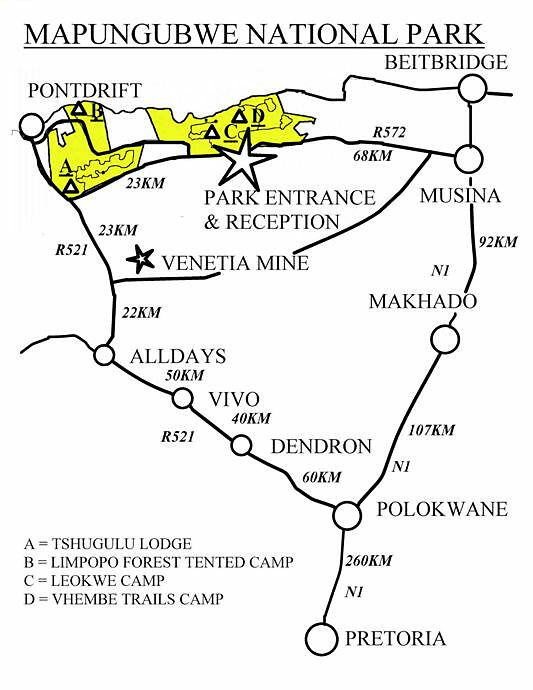 Travel for 46km towards Pontdrif and turn right onto R572 towards Musina. This is the second tarred road off to the right after leaving Alldays. 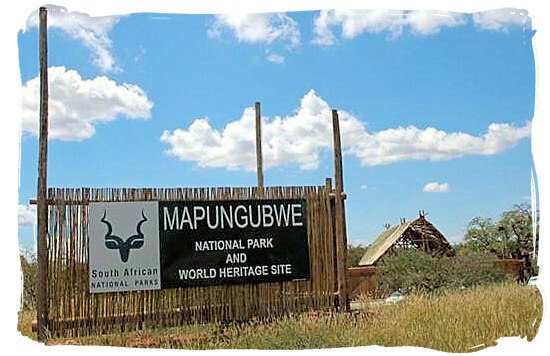 The main entrance and reception of Mapungubwe National Park is about 30 km from where you turned onto the R572. As you can see on the map, the total distance from Johannesburg / Pretoria comes to about 500 kilometres, all tarred. Polokwane is the closest you can get to Mapungubwe National Park with a regular airline service from Oliver Tambo International Airport at Johannesburg. From their you will have to either hire a car or charter a small airplane.